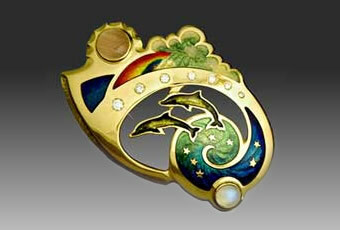 Kristin Anderson works with sterling silver, 18K gold, vitreous enamel, and precious and semi-precious stones. 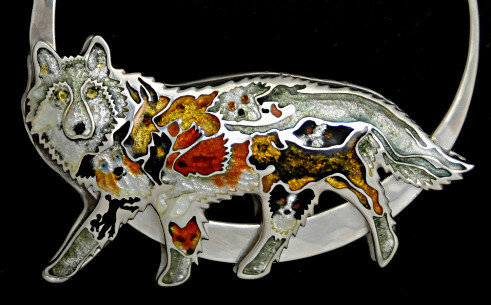 As you explore this website we offer you information to make you more familiar with the terminology and the craft involved in Kristin's art while introducing you to some beautiful pieces of wearable art. 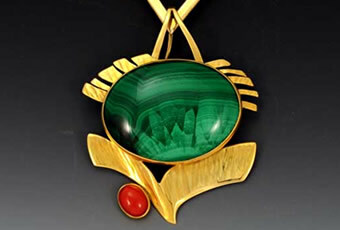 In 18K Gold, Kristin designs and makes unique pieces with transparent vitreous enamel using the Champleve technique and often layering the gold over other precious metals. 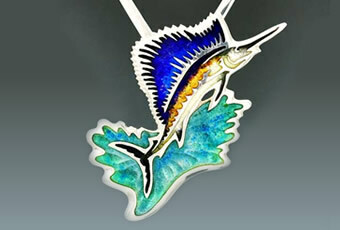 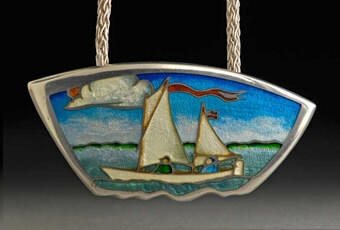 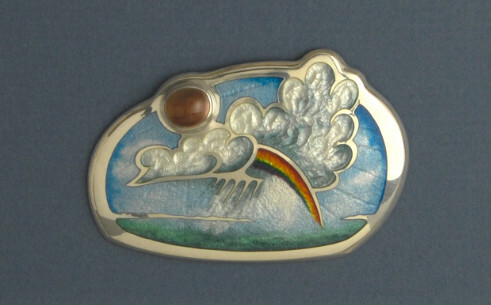 Kristin makes Sterling Silver pieces with vitreous enamel, using a technique known as Champleve to achieve a beautiful shimmering effect. 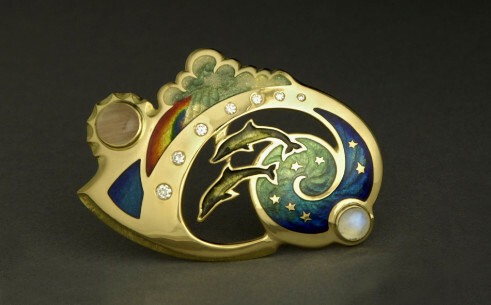 In 18K Gold, Kristin designs and makes unique pieces with stones and with transparent vitreous enamel. 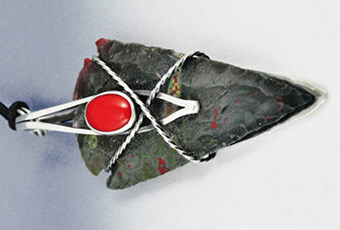 Kristin makes Sterling Silver pieces with precious and semi-precious stones, with or without vitreous enamels. 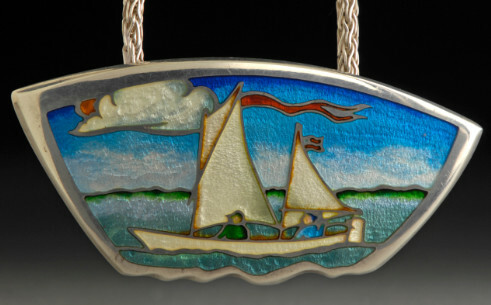 Kristin, an avid sailor and classic wooden boat enthusiast will design and make, from a photograph you provide, a custom portrait of your prized and noble vessel in 18K Gold, Sterling Silver and Vitreous Enamels. 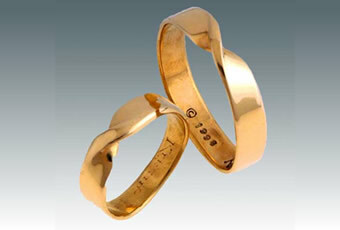 Kristin designs and creates exciting and beautiful rings and wedding band sets to suit many tastes and budgets. 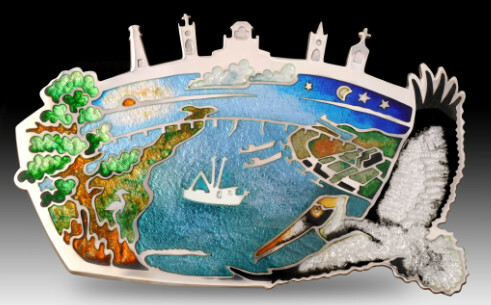 Contact Kristin through this website to discuss any ideas you have about your own personal hand crafted work of wearable art and Kristin will work with you to make it a reality.